ZTE launched the latest smartphone in the Nubia N lineup from the company which has been named as the ZTE Nubia N3 which is also the latest smartphone from ZTE Nubia in 2018. As far as the ZTE Nubia N3 is concerned, this device is the successor to the ZTE Nubia N2 which was launched last year. As far as the Nubia N3 from ZTE is concerned, the device has been upgraded with a display having 18:9 aspect ratio rather than the 16:9 aspect ratio of that was seen on the Nubia N2. Talking about the highlighting features of the ZTE Nubia N3 is concerned, the device comes with a 6-inch Full HD+ display that comes with an 18:9 aspect ratio. Apart from that, the device also has a dual camera setup on the back along with a much bigger battery capacity. Looking at the specifications of the ZTE Nubia N3, the device comes with a 6.01-inch Full HD+ display that has an aspect ratio of 18:9 and the screen has a resolution of 1080 x 2160 pixels. Along with that, the ZTE Nubia N3 is powered by the mid-range processor from Qualcomm Snapdragon which is the Snapdragon 625 chipset that is seen on mid-range smartphones this year. Also, ZTE Nubia N3 packs 4GB of RAM and 64GB of internal storage to back up its processor. Also, the internal storage of the ZTE Nubia N3 is further expandable up to 128GB with the help of a MicroSD card as the slot is present on the device. Apart from that, we have already mentioned that the ZTE Nubia N3 comes with a dual camera setup on the back. Talking about this dual camera setup, the ZTE Nubia N3 has a 16-megapixel primary camera in the dual camera setup which has an LED flash as well. Along with the 16-megapixel sensor, there is a 5-megapixel sensor on the back too. Also, the Nubia N3 from ZTE comes with a 16-megapixel sensor on the front for taking selfies as well as front-facing videos. Along with that, the Nubia runs on a year old Android version which is Android 7.1 Nougat which is backed by Nubia UI which is ZTE’s custom Android skin for its Nubia handsets. Also, the ZTE Nubia N3 comes with a fingerprint sensor on the back. Apart from the above, the ZTE Nubia N3 has a massive 5000 mAh non-removable battery which is capable of lasting for two long days on a single charge and up to 23 days of standby time. ZTE launched the latest smartphone in the Nubia N series of smartphones from the company and the latest device from ZTE has been named as the ZTE Nubia N3. The ZTE Nubia N3 also becomes the latest device to be launched by the company this year. As far as the ZTE Nubia lineup of smartphones is concerned, we have seen that the company bundles some well-designed and original wallpapers for each of their newly launched devices. Same is the case with the launch of ZTE Nubia N3 as well, the company has included some Stock Wallpapers which are exclusive to the Nubia N3. 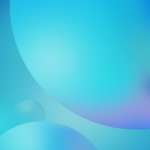 As far as the Stock Wallpapers from the ZTE Nubia N3 are concerned, there are only 2 wallpapers that can be found on the latest device from ZTE out of the box. 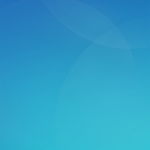 Apart from that, the wallpapers are designed with a blue theme and are abstract in design. Also, the wallpapers are available in Full HD+ resolution. 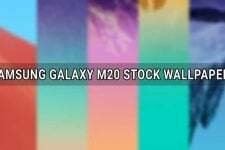 As far as the resolution of the wallpapers is concerned, the wallpapers come in 1080 x 2160 pixels which is suitable for the 18:9 aspect ratio display which is seen on the ZTE Nubia N3. 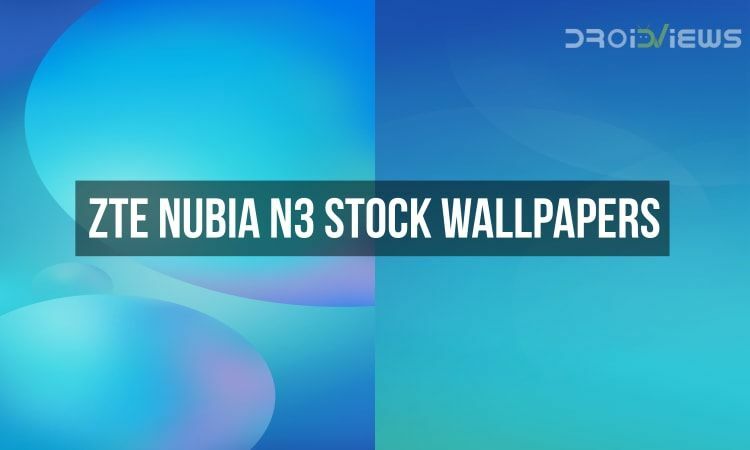 Apart from that, you can also download the Stock Wallpapers from the ZTE Nubia N3 on your particular devices regardless of the resolution and aspect ratio. Now, in order to download these wallpapers which have been linked below, you will have to long press on the images in order to save them to your device so that the wallpapers will be stored on your device and you can use these images further for setting them as your wallpaper as well. 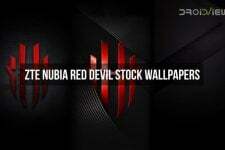 Apart from downloading the Stock Wallpapers one at a time, you can also download the zip files from the Download Links section below which contain all the wallpapers from the ZTE Nubia N3 in a single folder and in its original quality.